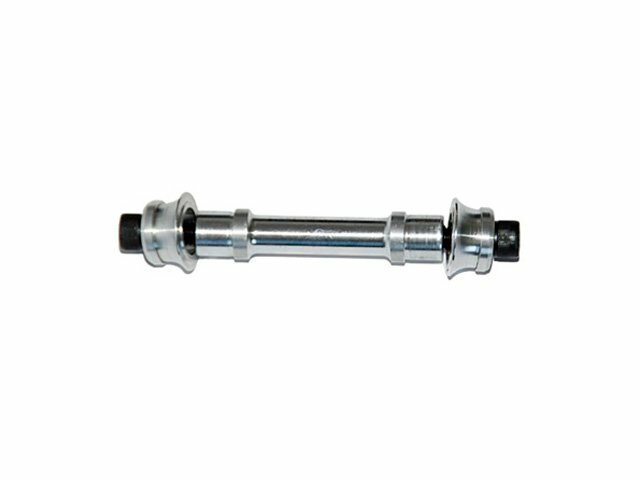 The Profile Racing "Mini" Front Hub Axle - Set replaces the CrMo axle your Profile "Mini" Fronthub and will kelp you save some weight. The Profile Racing "Mini" Front Hub Axle - Set consists of the aluminium female axle, 2 x bolts, 2 x aluminium volcano bolt washers, 2 x CrMo washers and 2 x cones. To take advantage of this axis with 14mm dropouts, you will need 14mm distance washers for the 10mm bolts.